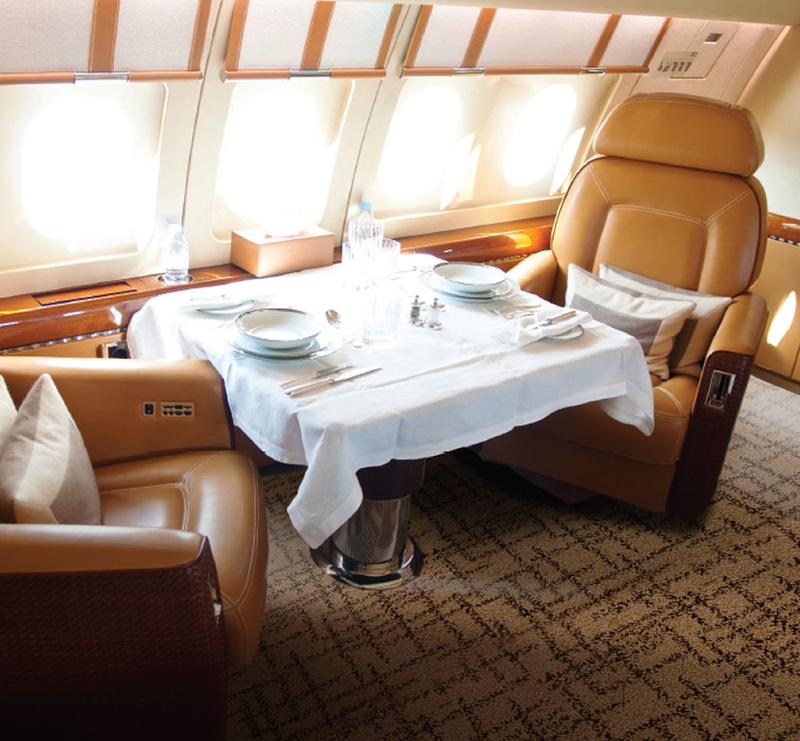 From luxury private jets to widebodies and fleets, the Delos craftspeople create exquisite lasting impressions via boutique carpets achieved with unique yarn mixes, resulting in unusual textural patterns. Appreciate Delos’ easy collection choices or go custom. Renderings are free and available in 48 hours. The Delos state-of-the-art robotic tufting technology combined with hand finishing allows for speed of delivery with most carpets delivering in six weeks or less. Robotic tufting provides consistent quality from cockpit to tail and allows for more unique carpet designs with logos or custom patterns that don’t have to be repetitive. This is ideal for executing interesting aisle designs without seams, which adds to the carpet’s durability. With Delos, there is no need to purchase a full roll of carpet for your project. Enjoy the savings that comes along with ordering precisely what your project requires. Visit the Delos aircraft Instagram page. Stay up on the latest!